In 1964, Arthur Tress discovered San Francisco with his camera, producing images of a city in transition. Then he forgot all about them for 45 years. One of the first things to strike a 23-year-old Arthur Tress, arriving in San Francisco for the first time, was the city’s abundance of clean, white light. 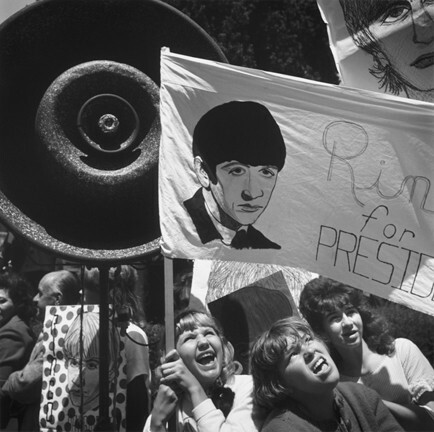 RINGO FOR PRESIDENT : In San Francisco, Arthur Tress documented the intriguing collision of the 28th annual Republican National Convention with the kickoff of the Beatles’ first North American tour. Those images and more are part of the current de Young show “Arthur Tress: San Francisco 1964.” “At one point, in Union Square, a throng of Beatlemaniacs collided with a Scranton rally, producing a chaotic scene that disrupted a marching band’s best efforts to carry on with its efforts,” curator James A. Ganz writes in the accompanying book. MAN AND BEAST : “He was one of my first crushes,” Tress admits of the young man pictured. The photo was taken in the Bachelor’s Quarters, a boardinghouse for men in San Francisco. So Tress split town on a motor scooter, heading first to Barcelona, then taking a ferry to Athens, and later hitchhiking through Egypt. The journey marked Tress’s first serious photography series. Influenced equally by anthropology courses at Bard as by the work of such photojournalists as Henri Cartier-Bresson, Tress was drawn to capture local festivals, rituals, and celebrations as he traveled. He headed back to New York in the spring of ’63, but set off again in the fall, this time to San Miguel de Allende in central Mexico, where he enrolled in art school. His photographs from the time capture everything from Mayan rituals to shop window displays. Then, in the spring of ’64, he moved on, this time to San Francisco to stay with his older sister Madeleine. So, after a hell of a bus ride, there he was, taking in the city’s comparative whiteness, composing a letter home. DAY DREAMER : Tress captured this dozing businessman in San Francisco’s Union Square. In 1964, the city was being hailed as a Mecca for gays, artists, and political progressives. But by today’s standards, it was surprisingly conservative—so much so that the 28th Republican National Convention was held there that year. At around the same time, the Beatles kicked off their first North American tour at San Francisco’s Cow Palace, producing an odd clash in the streets between devoted supporters of two very different sorts. But there was another, less whimsical clash happening during the spring and summer Tress stayed in San Francisco: the one between auto dealers and civil rights activists. Cadillac specifically was under fire for unfair hiring practices. For many San Franciscans, the demonstrations that ensued were the first they had ever seen, and many turned up just to watch. Tress also enjoyed photographing the window displays of the little mom-and-pop stores that were so commonplace in the city. The shop window images Tress shot, which he referred to as “found surrealism,” seem a clear precursor to his later still life series, such as “Fishtank Sonata” (wonderfully obscure, dissonant items arranged inside fishtanks, which were in turn filled with water and placed in equally obscure, dissonant settings) and “Hospital” (still lifes of items found in an abandoned hospital, painted garish, alien colors, and arranged in bizarre ways). 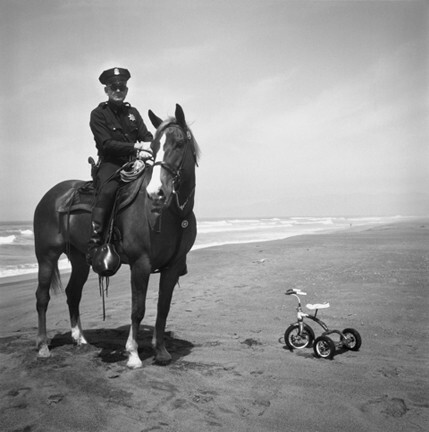 TRICYCLE POLICE : By 1964, visual non-sequiturs such as this one were already a hallmark of the photographer’s style. While in San Francisco, Tress produced 900 negatives in just a few months. Some of these he developed in a community darkroom in the Castro; others he never developed at all—until very recently. After Madeleine’s death in 2009, Tress returned again to San Francisco, this time to clean out his sister’s apartment. It was only then that he unearthed the near-forgotten body of work he’d left in her care as a youth. The strongest images from that collection are now on display at San Francisco’s de Young Museum. 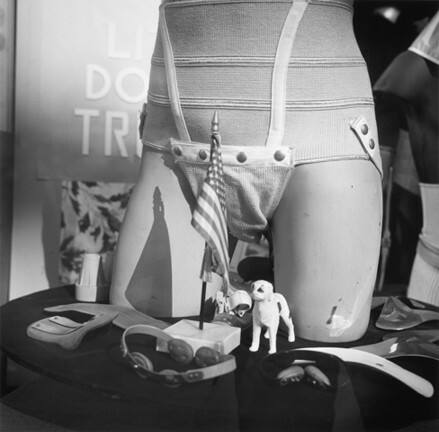 The exhibit “Arthur Tress: San Francisco 1964” marks the first time the images have ever seen the light of day. The majority of them had never even been printed. As one could expect after 45 years, there are some photos Tress distinctly recalls taking, while the sight of others came to him as a surprise. But even in this early work, Tress’ compositional intuition, humor, and unique eye for the eerie and the absurd are plain to see. Yes, this would be very egotistical—were it not true. COIN-OPERATED TWIN : While many street photographers avoided interacting with their subjects, Tress would occasionally direct people to create a desired composition, such as this one. Tress employed a technique of holding the camera above his head when he took photos. This imbued the images with a certain floating quality, and was also a way of photographing people without them catching on. This way, he was merely seen looking up into the device, as if analyzing some mysterious technical aspect of it—never staring directly at his subjects. In his compositions, Tress was already breaking established rules, as when photographing billboards over which the heads of presidential candidates had been plastered. Standing almost directly under them, Tress would deliberately distort their faces so that their jowls appeared enormous and menacing, their brains seeming miniature, distant. Among the candidates whose images he shot was George Romney, father of Mitt. 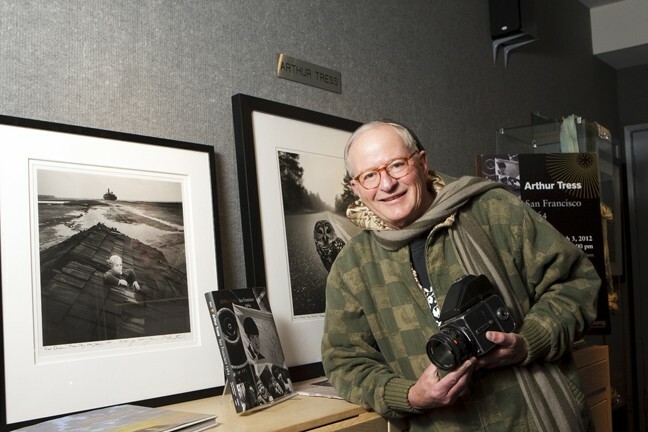 It was in the Bay Area that Tress had his first photography show, at the Tides Bookstore in Sausalito. As the trove gathered dust in San Francisco, Tress went on to become an acclaimed photographer, recognized the world over. After his second stay in Mexico, Tress continued his visual ethnography of the world’s tribes, seeking out and photographing indigenous groups. Tress captured Sweden’s Lapp people; the Inuit in Point Hope, Alaska; India’s Toda people; the Dogon tribe in Mali; and the Miao in Thailand. 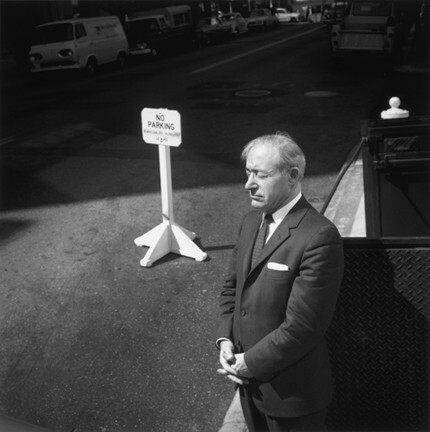 NO PARKING : Tress captured this image of a San Franciscan enjoying a moment of sunshine, his posture echoed by a nearby sign. “I wanted to find the primitive vestigial remnants of this kind of tribal mentality, tribal archetypes,” he said. It’s a motif Tress has revisited since his 1995 move to the Central Coast, though the tribes he photographed this time were those found in local skate parks and paintball battlefields. 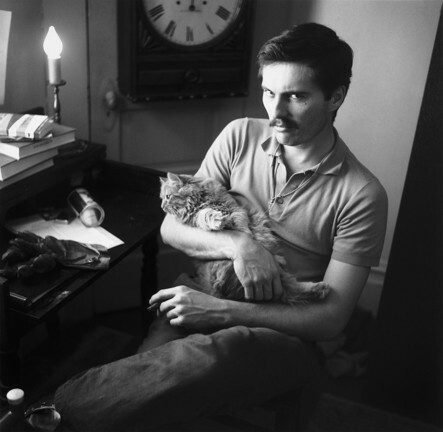 But Tress is best known for the staged, dreamily surreal tableaux he created in the ’70s, as well as the striking, yet often endearingly playful male erotica he produced in the ’80s. In a series Tress called “Dream Collector,” he worked with children to act out and photograph their dreams. Keenly perceptive from an early age, Tress also explored latent relationship dramas in his work. In his series “Theater of the Mind,” he would direct parents and their adult children in staged shots that often brought to light some hidden truth about their relationship. Among these was an image of a woman in her sixties, carrying her elderly mother in a wheelbarrow. 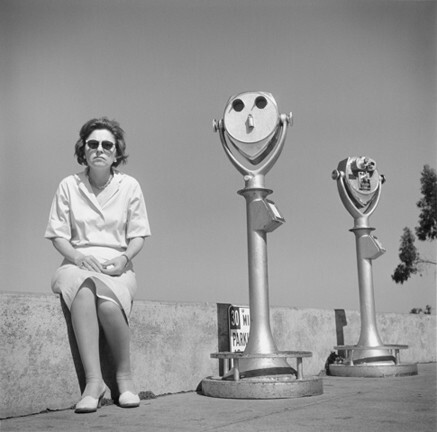 FOUND SURREALISM: “Arthur Tress: San Francisco 1964” hangs at San Francisco’s de Young Museum through June 3. Visit deyoung.famsf.org for more information. In the same vein is a photo of a young man ironing his terminally ill mother’s hand. 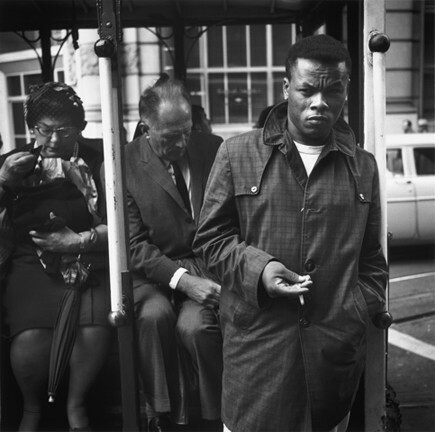 Tress’s photos from San Francisco in 1964 seem to encapsulate, most eloquently, the photographer’s past, present, and future. In the collection are elements of the ethnographer, the street photographer, capturing moments of strife between classes, political parties, races, tribes. Here, too, is a hint of the dream collector, creating eerily poetic scenes—like one image of a musician friend, Joan Benson, draped in an oversize black coat, like a dark spirit that has floated up through the floor and is now hovering in the halls of the Legion of Honor. And we see, long before his male nudes became famous, what might be subtle evidence of a young man coming to terms with his sexual identity—his camera an excuse to approach other young men. 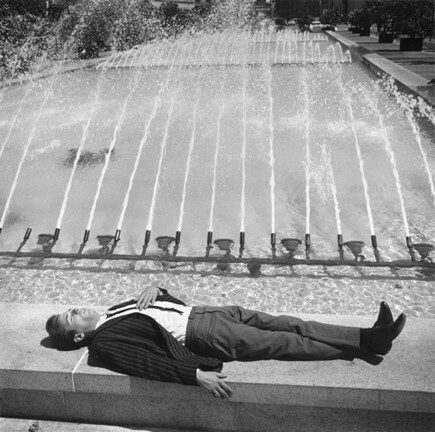 Seeing another photo of a young man in a suit, dozing peacefully in the sun beside a fountain in San Francisco’s Civic Center, the viewer feels he or she has intruded, that the photographer would never have come so close were the man’s eyes open. One hand lies on the man’s chest; the other loosely grasps the side of the bench where he lies. On it is a wedding ring.